From the woman who got paid maternity leave into corporate Australia. Ann Sherry is the first woman to sit on a rugby board in Australia. Ann Sherry's career has spanned from prison social worker to CEO of Carnival Australia (where her tenure continues). But along the way there have been a few stand out achievements -- namely, being the first woman to sit on a rugby board and introducing Westpac's paid maternity leave policy while in a senior management role at the bank. The latter sparked a flow-on effect, establishing paid maternity leave as a norm across corporate Australia. "It didn't begin with that as the objective. 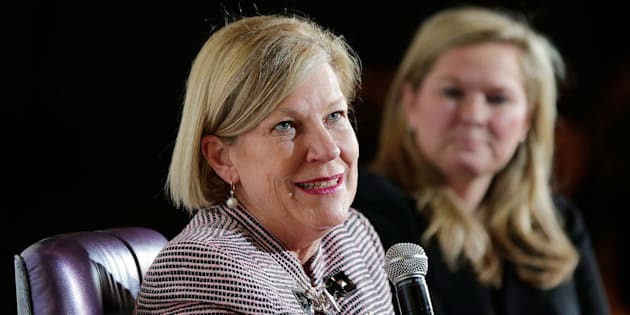 It began with the objective of making Westpac a better place to work but in fact the knock-on effect was so much bigger," Sherry told The Huffington Post Australia. "I often reflect on that. You don't necessarily have to set out to change the world, but if you do something that is amazing -- even in a small environment -- often the ripple effect does change the world." 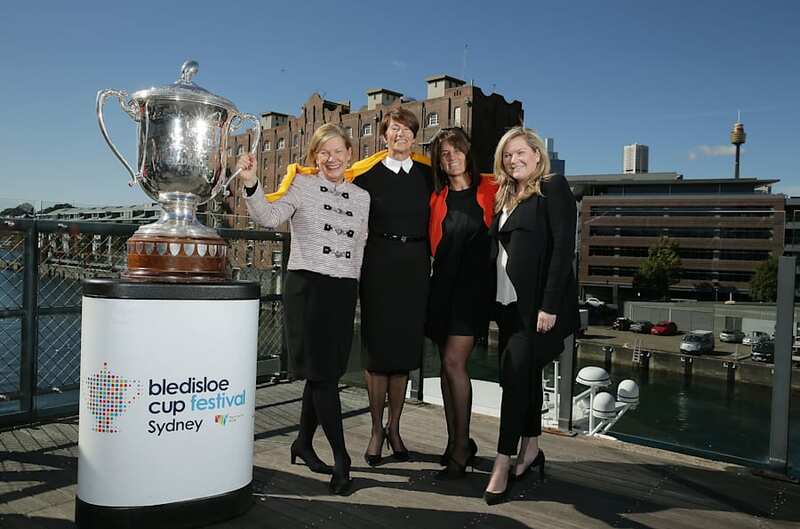 On Thursday, Sherry will be joined by fellow Australian Rugby Union board members Elizabeth Broderick and Pip Marlow at the Bledisloe Cup Festival Women in Business and Rugby Lunch. It is the first time three women will attend the event as ARU board members, which is just another milestone to celebrate on top of the Women's Rugby Sevens team winning an Olympic gold. "They are an incredibly diverse group of young women. We've put together a team that looks like modern Australia, or the women of modern Australia," Sherry said. "It also plays to women of different shapes and sizes which is the thing I love about it. You don't have to be seven foot tall or the fastest person in the world." Ann Sherry with Margie Abbott, Sports Connect Managing Director Tanya Oziel and Microsoft Australia Managing Director Pip Marlow at the 2015 BCF Women In Business & Sport Leaders Lunch. Despite all the successes, there still remains a lot to be done to increase women's participation in sport, from the field to sports administration jobs and leadership roles. And men are vital to increasing these numbers, which will only benefit the sporting code. "The thing that I think everyone ignores is you've got to understand your customer base," Sherry said. "If you're not engaging with women, then your customer base will never be what it could or should be. So there's a really sharp business reason for men to be passionate about women's engagement with whatever the sport is -- in this case rugby. "Women decide which sport their kids play, women decide how much time families spend around sporting fields and getting engaged." 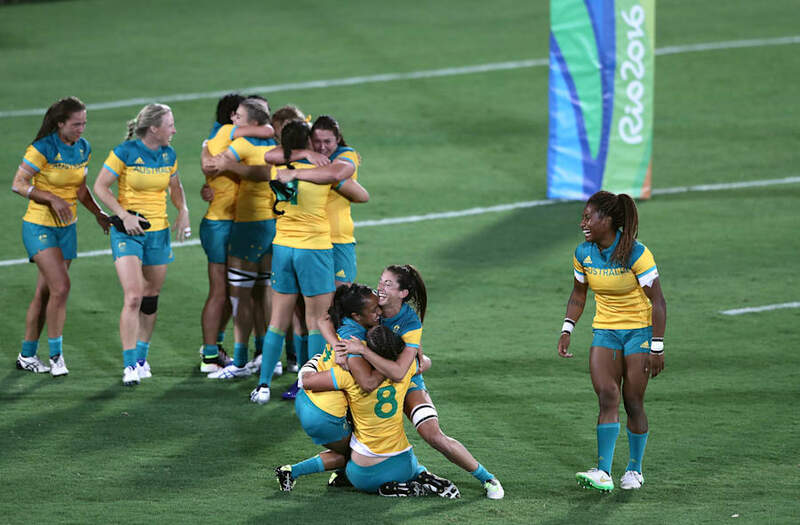 Australia's Women's Sevens Rugby team celebrate winning gold at Rio. The professional problems of women and men might be different, but the solution is the same for Sherry. "You've got a whole plate of options available to you. Choose wisely. Don't do what everyone else has done before you, just choose for yourself," Sherry said. "Get out of the stereotypes because it's like a straitjacket." Whether it's work or raising children, or both, having the confidence to create your own path is important. "And accept life can be a bit messy, and not perfect. That's quite challenging for women," Sherry said. "The challenge for [young professional men] is to do the things they want to do rather than fit into the traditional male model. As I talk to younger professional men, they want time with their kids, they want more flexibility, they want more options as well." If a workplace isn't working for you, move somewhere that does. Don't think it's about you, Sherry said. And as for how she ended up sitting on the Australian Rugby Union board? "I was on the board of the Australian Sports Commission being critical of sports boards for not having women," Sherry said. "So someone rang me and said 'would you like to be the first woman ever on a rugby board?' And I thought, 'well you've got to put your money where your mouth is.'"